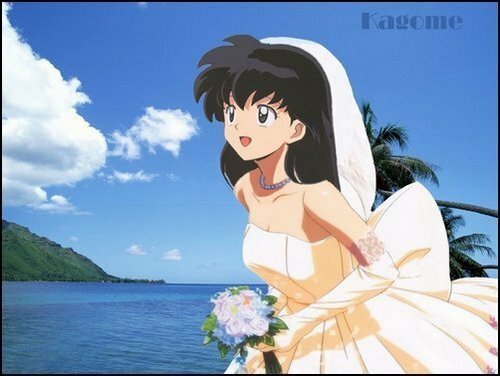 kAGOME. . Wallpaper and background images in the Inuyasha club tagged: inuyasha kagome anime picture manga icon image kiara. In her dreams, I hope in that gown she's thinking about Hojo. Well yah incase you didn't notice... *eye roll* Stating the OBVIOUS, yah. There it is. My comment simply states that yes, because Kagome is a character in Inuyasha (a main) that her images get looked at just like everybody elses on this spot. Matters not if I dislike her, among a few other things and I'll ask again, why do you ask?